Photo credit: Jordi Payà, 2012. Licensed under CC BY-SA 2.0. Cava is a sparkling wine made according to the traditional method (like champagne). It’s produced all over Spain, but mainly in Catalonia, in the northeast of the country. Currently around 250 producers of cava are delivering roughly 250 million bottles a year, 95% of which come from the region of Penedès. Of those cavas, more than two thirds are popped outside of Spain, exported mainly to other European countries, but also to the US, Japan, Canada, Brazil, China and many others. Worldwide, Germany is the biggest cava consumer, with over 33 million bottles in 2015. But you’ll never guess which country is the runner-up…. No, not the UK, US, Japan or France, but our tiny, food-and-drinks-loving Belgium, where just over 11 million inhabitants glug more than 30 million bottles of cava a year, thus ranking second in the world, after having overtaken the UK in 2013. Did you know the tiny kingdom of Belgium is the 2nd largest consumer of cava in the world, popping more than 30 mln bottles a year? Belgium is a nation of sparkling wine drinkers, and cava is one of the most popular ones. Unfortunately, most of the cava sold and consumed here is of the entry-level, mass-produced, commercial and fairly soulless kind, and as a result, cava’s reputation has suffered, in favour of prosecco and other sparkling wines. By now it’s become hard to convince us that cava can be much more than an everyday supermarket, patio or party bubbly – a cheaper alternative for our beloved champagne. Yet back home in Catalonia, many wineries focus on producing great, unique and memorable cava. and there are a lot of high-quality ones out there. But we need to understand that cava is not champagne, and it doesn’t have to be. It’s got its own grape varieties, growing conditions and traditions – be they old or new. If we respect that, and – more importantly – if good winemakers persist in improving their product, cava can continue to develop an identity and character of its own. Several milestones have helped to build the foundations for this revival: first, in 1986, the establishment of an official denomination for cava, the D.O. Cava, followed by the introduction of Reserva and Gran Reserva designations. 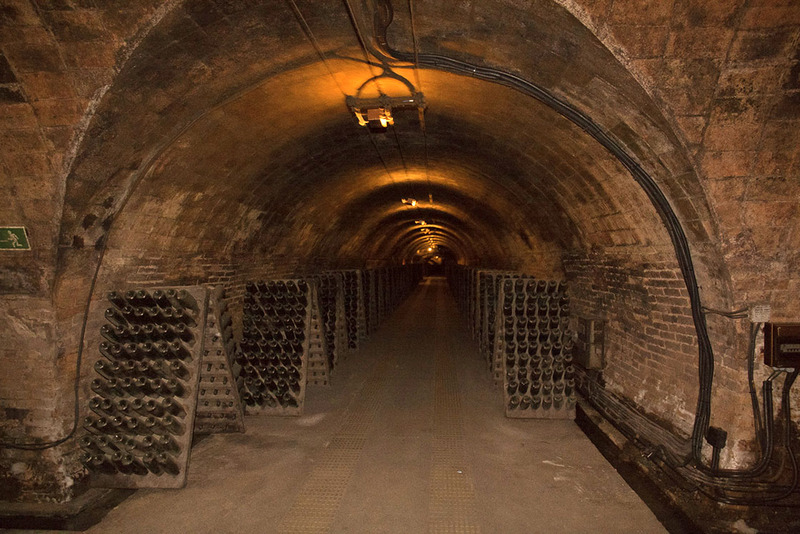 Whereas a regular cava undergoes an ageing process of minimum 9 months (to compare: a basic, non-vintage champagne spends 12 months on lees and another 3 months in the bottle after disgorgement), for a Reserva this is 15 months, and for a Gran Reserva a minimum of 30 months. Maturing on its lees (a deposit of dead yeast cells left over from fermentation) imparts interesting characteristics to a wine, from aromas and flavours of pastry, bread dough and nuts, to an overall round, rich and creamy mouthfeel. More recently, in June 2015, we saw the launch of a new classification for single-vineyard cavas, called Cava de Paraje Calificado. 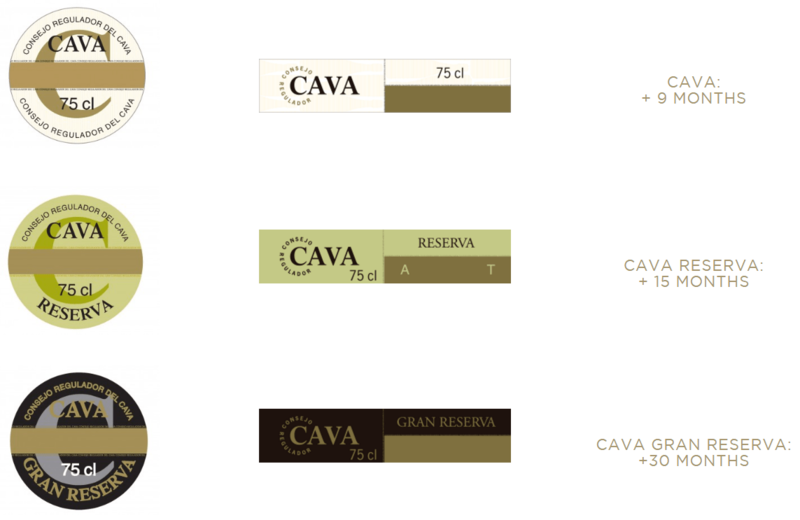 These ‘cavas de paraje’ represent the top of the pyramid: vintage cavas that can only made in the Brut, Extra Brut or Brut Nature styles, following stringent quality criteria when it comes to growing, harvest and winemaking practices, and the requirement to age at least 36 months on its lees before disgorgement. I hope this article helps to show that cava can be much more than a cheap summer bubbly. 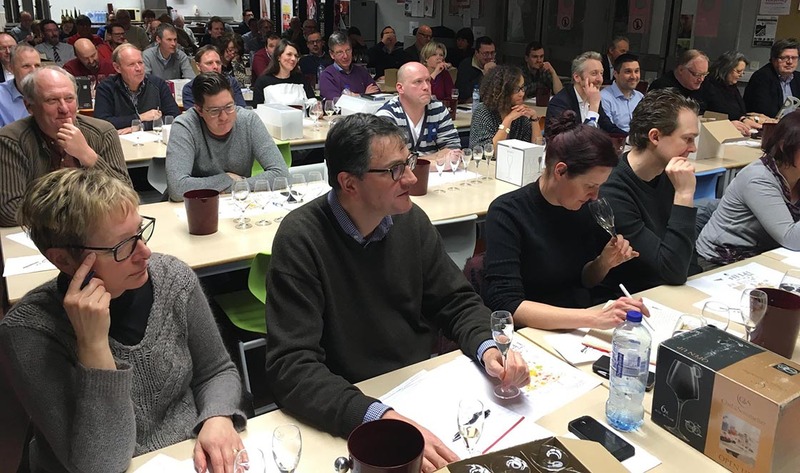 I myself, a fairly outspoken not-a-fan of cavas in the past, have certainly changed my mind, not in the least by a recent tasting of premium cavas, organised by our professional association of Sommeliers-Conseil. During this mind-blowing evening, we tasted 9 premium cavas, carefully selected and expertly commentated by Germán Muñoz of Terroir 34. Germán is a Spanish-born, Belgium-based agricultural engineer, oenologist and wine & terroir consultant for wineries and importers. He introduced us to an excellent selection of premium cavas, far removed from the unfortunate sub-standard sparklers that line our store shelves. Far removed in quality as well as in price point, I have to say – most premium cavas are in the price range of champagnes. And I will leave it up to you to decide if that’s fair. 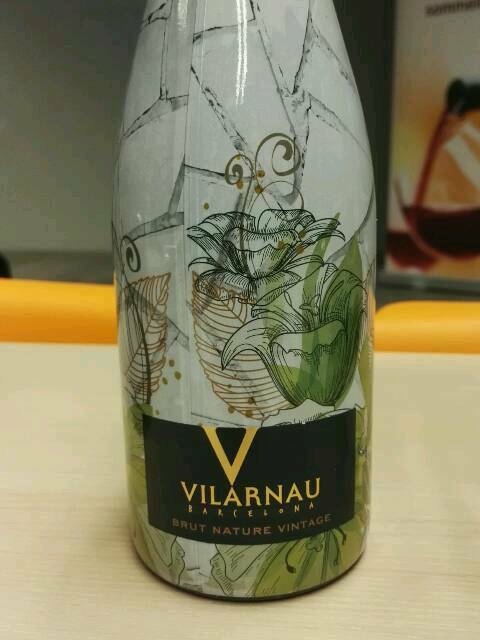 Vilarnau Cava Brut Nature Vintage 2013. A cava producer with a mission: to show that cava can be much more than the cheap supermarket bubbly we are swamped with. Mission accomplished, for sure, right from the start of the tasting, with this complex and elegant Brut Nature, a composition of 50% Macabeo, 35% Parellada and 15% Chardonnay, aged on its lees for more than 24 months. Aromas of lemon, crisp green apples, overripe orange and summer flowers lead to vivid acidity, chalky minerality, a hint of bread yeast and grapefruit bitters in a fresh, lingering finish. A fresh and fruit-forward cava from one of the older cooperatives in Penedés. This blend of Xarel.lo, Macabeo and Parellada spent 15 months maturing on its lees, which adds some body and a little complexity to otherwise predominantly fruity & floral aromas of apple and orchard blossoms, with a hint of chalky minerality and a soft honey note after a few good swirls of the glass. A nice, accessible crowd pleaser of a cava, but it feels a touch too sweet for my taste, which puts too much emphasis on the fruit. 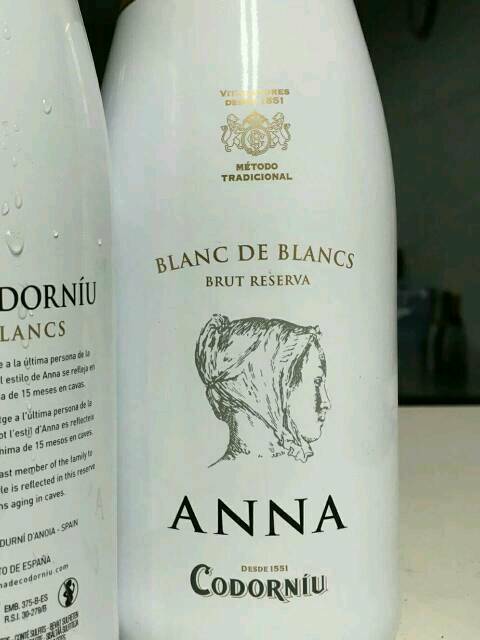 Anna de Codorniu, Cava Blanc de Blancs Brut Reserva. A straightforward and reasonably intense Brut Reserva cava, composed of 70% Chardonnay, 15% Parellada and the remaining 15% of Macabeo & Xarel.lo. A medium lemon hue and slightly coarser bubbles lead to aromas of not-so-ripe tropical fruit and grapefruit lemonade. With good acidity and lots of fruit on the palate, it’s a decent and refreshing cava, but it misses the finer touch and complexity I prefer in a sparkling wine. Still, well chilled, this will happily accompany the hors d’oeuvres at a summer party. 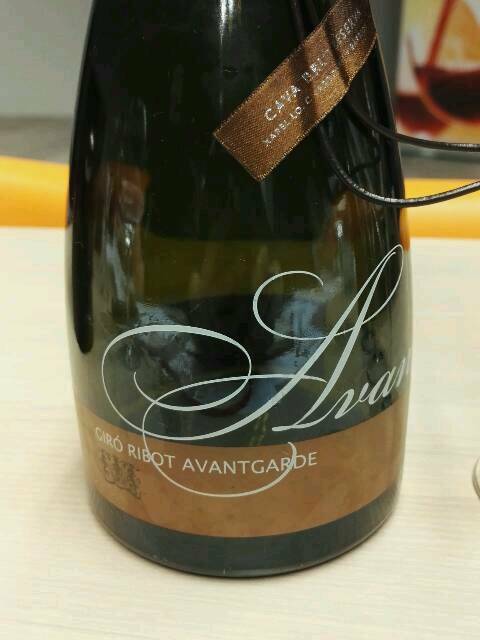 Giró Ribot Excelsus Avant Cava Brut Reserva 2012. This was a peculiar cava, and I totally loved it. A blend of 45% Chardonnay, 45% Xarel.lo and 10% Macabeo delivers a complex, lightly savoury cava with strong lactic notes that reminded me of the hearty cheese sauce & crust of a ‘chicon gratin’. Add to that a sprinkle of chalk, lovely apple notes, apricot and the sweet, ripe flesh of a Charentais melon, and this may sound like a weird concoction, yet it worked beautifully – especially because it was backed up by vibrant acidity and a balanced, well-structured palate. 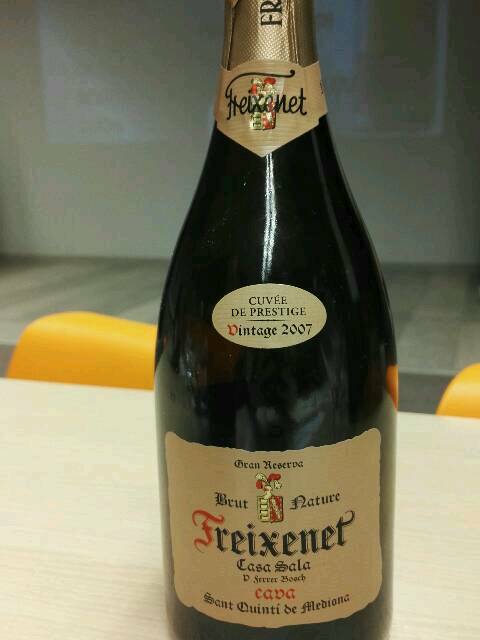 Freixenet Casa Sala Cava Gran Reserva Brut Nature 2007. 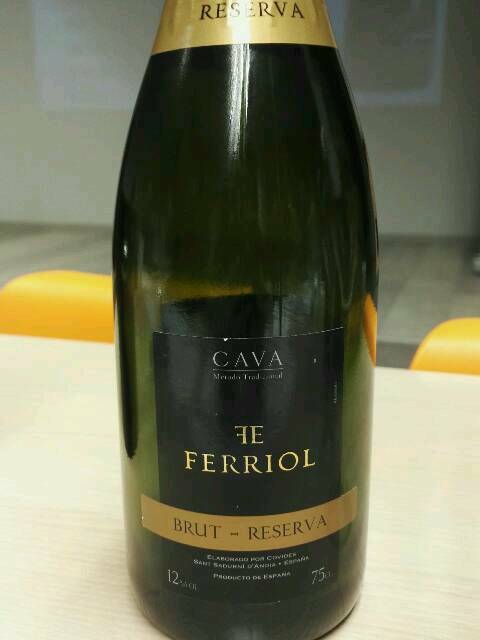 My favourite cava of the evening, and in a blind tasting the one most likely to be mistaken for a good champagne. This is a rare premium cava for sure: Brut Nature, composed of Xarel.lo and Parellada, aged on its lees for 30 months. It’s bone dry, with a great balance of high acidity, delicate creaminess and intense flavours of crushed apple, grapefruit, lemon zest, bread yeast and almond blossoms, leading to a long finish on almonds and lemon pith. A wonderful food partner for sashimi or seafood carpaccio. 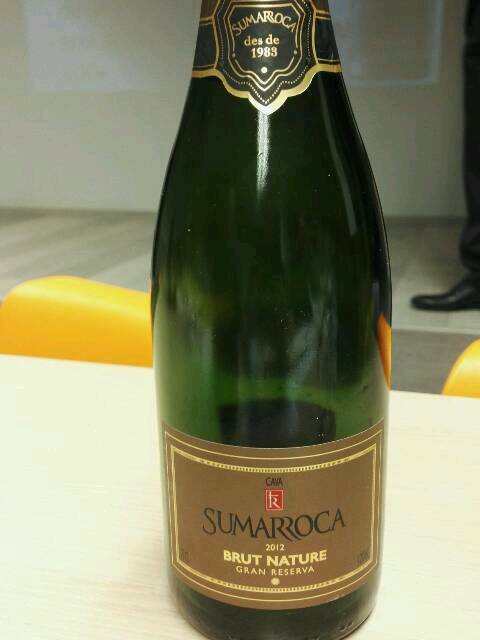 Sumarroca Cava Gran Reserva Brut Nature 2012. Another great cava in a line-up of premium cavas, destined to show the real potential of Catalunya’s bubbly pride. It’s no secret that I adore well-made brut nature sparklers, and this was a vivid yet elegant and complex one. Chalky minerality, followed by tart flavours of lemon zest, lemon pith and white grapefruit, hints of chamomile & summer flowers, before filling out with soft autolytic aromas and lightly burnt toast. Not that easy on the nose but refined, refreshing and wonderfully long on the palate. 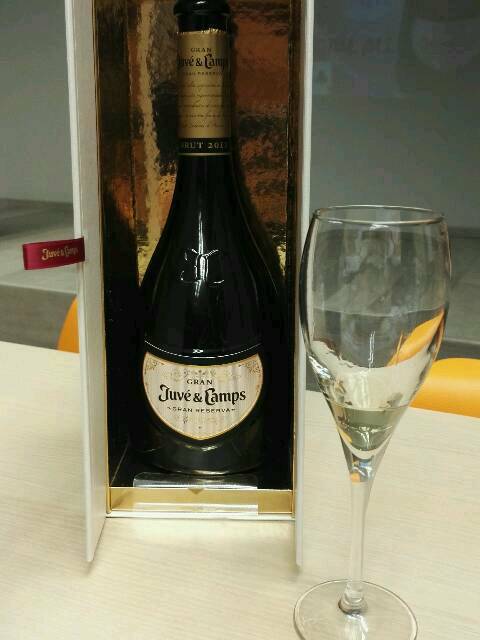 Gran Juvé & Camps, Cava Gran Reserva 2012. Another 2012 Gran Reserva that pleased our sommelier crowd – not an easy feat, I assure you. A blend of 50% Xarel.lo, 25% Macabeo and 25% Parellada, in which pronounced bitter citrus and floral notes are well balanced with a complex, long & layered perfume, composed of crushed apple, almonds, butter, bread crumb and yeast. On the palate, high acidity teams up with grapefruit bitter, but always held in check by intense flavours, a delicate creamy mouthfeel and a pinch of residual sugar to showcase the fruit. 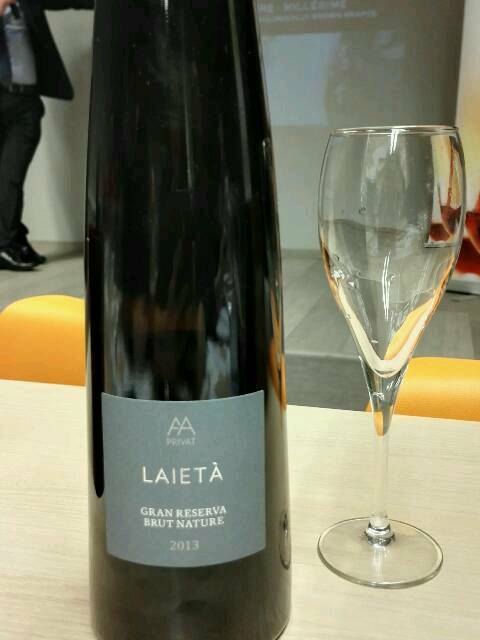 Alta Alella Laietà Cava Gran Reserva Brut Nature 2013. The odd one out at our tasting of premium cavas, for several reasons: it’s organic ánd it comes from the porous, granite-based Sauló soils of Alella, one of the best areas for cavas. A majority of Pansa Blanca (= Xarel.lo), with Chardonnay and a bit of Pinot Noir, aged sur lees for around 30 months. An intense and complex nose of Golden apples, citrus, orange blossom, supported by brioche and a whiff of bread yeast. Bone dry, crisp and refined, with vivid acidity, lots of seaside salinity and a long finish. 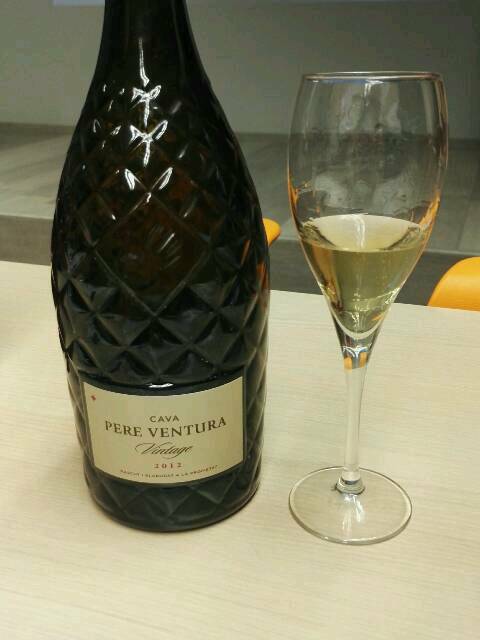 Pere Ventura Cava Gran Reserva Vintage 2012. A delightful cava from Pere Ventura, composed of Xarel.lo and Chardonnay, aged 30 months on its lees. It’s complex, vinous and attractive, all at once, with ripe aromas and flavours of charentais melon, cookie spices and the apple-pastry-like notes of bread yeast & butter, with a fine thread of stony minerality woven in. All this aromatic goodness leads to a lively, fresh palate with a delicate creamy mouthfeel, a pinch of yeast and a long finish on oven-fresh bread crust and crumb. Not cheap, but worth it. The Regulatory Board of the D.O. 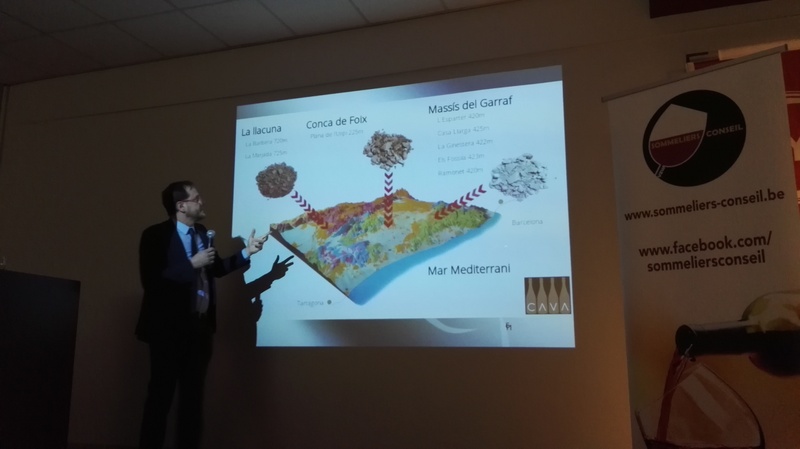 Cava shares plenty of facts and figures about cava, its region and wineries. Hi Kristel! Thanks agsin for another great article. I had the Anna Codorniu a little while ago and was a bit disappointed, remembering some real fine Cavas from that producer, which I had years ago in a great course with Wines from Spain…. One of my fave producers is Gramona and I just got to taste some of their top wines now in Stockholm. Fabulous! Will definitely look up some of yours here, thanks!